Following months of rumours as to who would buy the popular crowd-sourced navigation service Waze, Google is reportedly in negotiations to finalise a deal worth $1.3 billion. Potential other buyers included Facebook and even Apple with the acquisition figure said to be in the billion dollar neighbourhood. However, it seems Google have won the bidding war and will acquire the navigation service which is powered by the input of its user community. According to the report, Facebook went as far as meeting with Waze executives in Israel but no deal was reached due to an increased price tag and apparently Facebook didn’t want Waze’s workforce to continue working in Israel. However, Google had no issues with the increased price tag or location of the workforce and proceeded to offer a huge $1.3 billion to acquire the service. 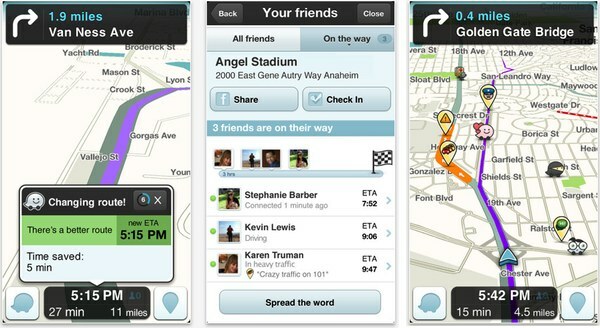 Having accepted, Waze will now be owned and run by the search giant. Interestingly, Apple lists Waze in theAttributes sectionof its Maps app as a partner, but with the axing of the official Maps provider being Google in iOS 6 and instead Apple choosing to create and user their own service, will this relationship still be allowed by either party? Perhaps there were some bitter feelings left over by Google from the transition, or perhaps Apple want to cut the tie to Google for their mapping solutions. Either way, it will be extremely interesting to see what direction Google take with the acquisition of Waze and what they can do to enhance the service.